Tennis was never my first choice of a sport to play. I didn't start playing until my freshman year. My parents wanted me to keep busy and meet new people so they made me play 3 sports. I already played hockey and golf, so then I had to find a new fall sport to play. 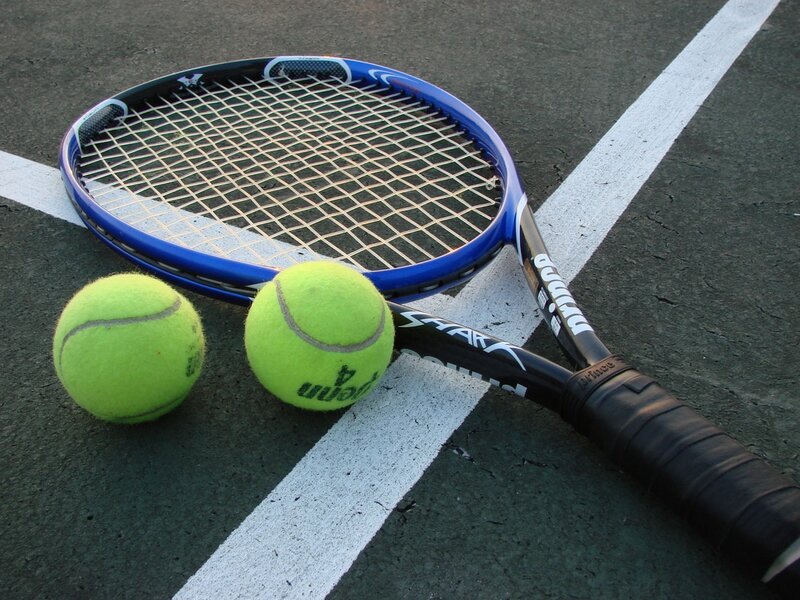 ​I choose to play tennis because my oldest brother played and I knew I could get help from him to get the basics down. I also had friends that played tennis so it was a perfect fit. Before tryouts I would go out and hit balls with my brother so I could improve my game. Another way I found to improve at tennis was to watch mt Tennis inspiration, Roger Federer, on TV and on Youtube. He is incredible and is considered to be one of the greatest tennis players ever. After watching Federer and hitting with my brother I was able to get good enough to make the tennis team in the fall. I was excited because on the team I knew that the coach would be able to give me individualized teaching so I could improve all my skills. I was able to learn all the basic skills and I improved enough I started playing 1 doubles on JV my freshman year. I was proud of my accomplishments and always knew that my hard work would pay off. Have you ever played tennis before? If not I would highly recommend because its a great way to stay active and have fun. Who is your favorite tennis player?? Writing is a part of everyday life. It is nearly impossible to go an entire day without reading words someone has written. The best way to get get better at writing is to practice. The easiest way I practice is to read what other people write. The #1 way to learn new words is from reading.To make learning about writing more enjoyable, read something about a topic you enjoy. Doing this will bring you pleasure, new words, and a better understanding of how to write. To me, there are 2 types of writing. Boring academic writing and fun writing, which is writing about a topic you enjoy. My Generation mainly uses the writing type 2, writing for fun on social media, on twitter, Facebook, and Instagram. People do not realize it, but they would be surprised how much they read in one day. All this reading leads to better writing. If you look back 1 year, it is amazing the improvement in ones grammar, style, and word choice. For me, my writing improves drastically throughout a school year. This is because in school we are forced to write and it makes us better. I think it is important to write about fun topics because the more you enjoy what you are writing about, the better that piece of writing will be. What is your favorite kind of writing? What is the best way you found out to get better as a writer? Ultimate Frisbee is a game of precision and speed. It demands a persons attention to detail to be able to throw the frisbee to it's intended target. Learning to throw a frisbee is a persons first step in learning to play Ultimate Frisbee. The key to throwing a frisbee straight is making sure when you throw the frisbee it is parallel to the ground. If it is tilted at all it will curve to the left or right. After some practice a person will have improved their throw. The objective of Ultimate is to pass the frisbee to your teammates and getting it in the end zone. The game is played on a football field. Any time you have possession of the frisbee, you can not move with it. So in order to get a touchdown a team must successfully pass the frisbee upfield to your teammates to score a touchdown. Any time a team drops or does not catch a pass, they have to give possession to the other team. A good strategy for offense is to spread out and make passses mid ranged in order to move up the field and not have to try to catch a long throw. To play defense you are allowed to smack the frisbee out of the air ,when the other team throws it, to prevent the opponent from catching it. Ultimate is very popular for teenagers to play and even some colleges have their own Ultimate Frisbee teams. It is a very fun sport that I recommend people try playing. Have you ever played Ultimate Frisbee before? What dot you think the hardest part was? Backpacking is a combination of hiking and camping. To Backpack, you hike with all your camping supplies on your back to your destination then when you arrive set up camp and get ready for the hike the next day. In order to be able to backpack you need some essential items. The most important is getting a hiking backpack large enough to fit all your stuff but small enough to fit on your back. The next thing you need is a tent so you have a place to sleep at night. The list goes on but a small camping stove and good hiking boots are important to a successful trip. The main idea is to get all your supplies small enough to fit in your pack in order to carry it to your next campsite. It can be tricky to get everything to fit, but once it all fits you are ready to go. The reason I love backpacking is being in nature not connected to the outside world for extended periods of time. The longest backpacking journey I have been on was two weeks when I was in the mountains in New Mexico. It is hard to explain what is like to be submerged in nature and its beauty it has to offer. Backpacking is a great way to see parts of this world that aren't accessible by car and is a great workout! Have you ever been backpacking? Where have you been before? Golf is one of my favorite sports, but it wasn't easy getting started. To play golf you have to learn two things, how to swing a golf club and patience. No matter how good you are are hitting the ball, you need just as good of a mental game. ​I first learned how to hit the ball and took lessons at the driving range when I was 13. It took a lot of practice but after a while I got it down. The to a successful swing is bring your club back slowly and don't bring it back to far. You want to bring so your hands are at equal level as your shoulders. Then take your club down and hit the ball. It is not as easy as it sounds and requires constant practice to maintain a good swing. To learn how to have a good mental game you have to always be positive. Every shot you have to believe that it will be the best shot of your life. You also can't let a bad shot or mistake get in your head and bring negative thoughts too you. I ignore the bad shots and praise the good ones. Do you play golf? If so whats the hardest part to you? When did you start playing? If not then do you think golf sounds fun or too challenging? I was first interested in learning how to solve a Rubix cube in 6th grade. I was always fascinated by them and finally decided to learn to do it with my friend. Almost every day after school I would go tho his house and we would watch tutorials on how to solve it. Learning to solve a Rubix cube is like learning how to do anything else for the first time. All it took was dedication and some memorization. I learned to do it by learning how to do sections of the Rubixs cube at a time. I first solve one side, then I solve the middle layers, and finally I solve the top layer completing the cube. The way I was able to learn it was to use some memorization but mostly just think about it and use common sense. I would learn why if you turned the cube one way where all the pieces would go. Using this method, learning algorithms were easy because I knew why I had to move each piece. I am not very good at memorizing but my best way is to use knowledge and explain to myself why is this and what does it effect. Using this method I can learn lots without having to memorize things. Are you good at memorizing? Do you prefer to memorize or learn why things work? What do you do to make memorization easier? Do you know how to do a Rubixs cube? If so, how fast can you do it? my personal best is 43 seconds. ​Once my brother started playing hockey, I instantly wanted to learn to play. I started learning at age 5 at suburban ice arena. Ice hockey is not an easy sport to learn and it took me a while to get the hang of skating. I learned to skate from my first coach, he made it easier for us by letting us skate with a cone to learn how to take strides. Then he took away the cone to make us skate free standing. The best way for me to learn to do something is make it easy at first then make it harder and harder until I learn to do the real thing. Practice is a necessity in learning something. I had to skate 3-4 times a week to practice to get better at skating. I thought skating was hard but I didn't even touch a hockey stick yet. The coach had to first make sure we could skate then he could teach us to play hockey. To make things easier at first we used a blue puck which is lighter and easier to use then a traditional hockey puck. The first thing we learned after skating was how to pass and shoot. These are basic and are the foundation of hockey. I then had to practice and continue learning how to skate better and learn new moves. 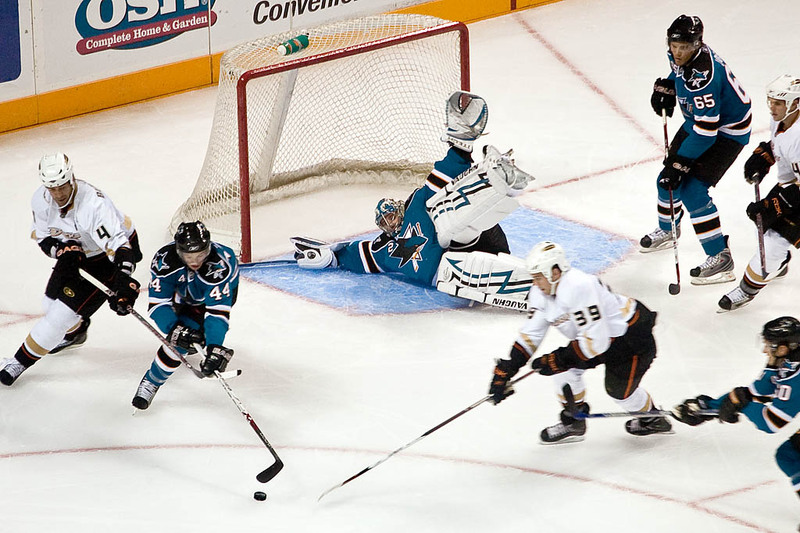 It took a couple of years of practice to use a normal puck and start learning new strategies. Because I had already learned the foundations, strategies were much easier to learn. Over the years, I kept on practicing and learning new things about hockey whether it is a new deke, learning better positioning, or even a new type of shot. Do you think starting easy than working your way to get harder is a better learning style or are you a jump right in start hard kind of person? Do you need repetition and practice to learn something good or can you learn things for the most part easily the first time?